The alternatives are Similarity, Identity and Difference. From a landscape planning viewpoint there are three main aspects to a minerals project: ï¾­ plant and machinery ï¾­ extraction of the mineral ï¾­ afterï¾­use of the site Each can be the dominant landscape planning factor, depending on the nature of the mineral operation and the characteristics of the site. When clay is dug to make bricks, the brick manufacturing plant itself may dominate the local environment. When a shallow surface mining operation takes place, say for coal or ironstone, the extraction process is likely to dominate ï¾­ there will be no permanent machinery on site and the land can be restored to its original contours. When minerals are dug from large deep open pits, as happens for copper and other highï¾­value ores, the most difficult problem is finding an acceptable afterï¾­use for the site. Each aspect of mineral planning can assume the proportions of an 'industry' in its own right, and may require a separate approach. Certainly, each requires EID. 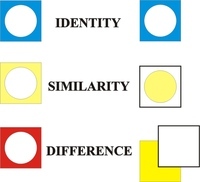 Three alternatives for the relationship between development and context were described, in Chapter 3, as Similarity, Identity and Difference [Fig 6.4]. When planning the landscape of minerals, these can translate into policies for zoning, innovation, conservation or concealment [Fig 6.5]. 6.5 Mineral workings can be zoned, concealed, treated conservatively or treated innovatively Each policy has been applied to mines and quarries. In general it may be said that while zoning and concealment have been used intelligently, if not always effectively, the prejudice in favour of 'conservation and restoration' has become so strong that it prevents the creation of new values in places where innovation would be appropriate.